SCIREQ Inc.: Thank you for visiting us at ERS 2014! 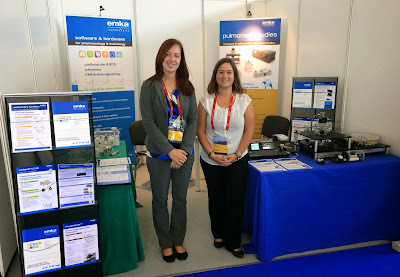 We had a wonderful time with emka TECHNOLOGIES at the European Respiratory Society's Annual Congress in Munich last week. We thank the many researchers who came by to discuss their in vivo respiratory mechanics and inhalation exposure research. Unable to make it to the conference? We are always available to answer any questions you may have. Please contact us at [email protected] or call us toll free at 1.877.572.4737. We also have a team worldwide who can help you with your research needs. Find out more by visiting our website: www.scireq.com/worldwide-distribution.